This winter season (2017/2018) in Shiga Kogen brought a lot of powder snow and many fantastic days of skiing and snowboarding. The early and massive snowfall experienced in December created a good base for a long season. 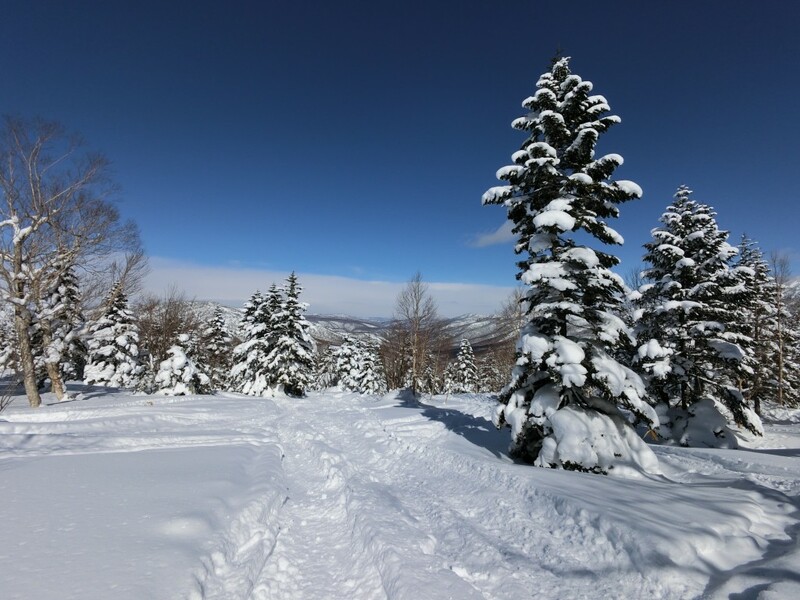 This blog series, titled ‘Shiga Kogen Powder Report’, is designed to share some of our favorite ski courses of Shiga Kogen – ones that are known only by locals and well worth discovering on your next visit to Nagano. 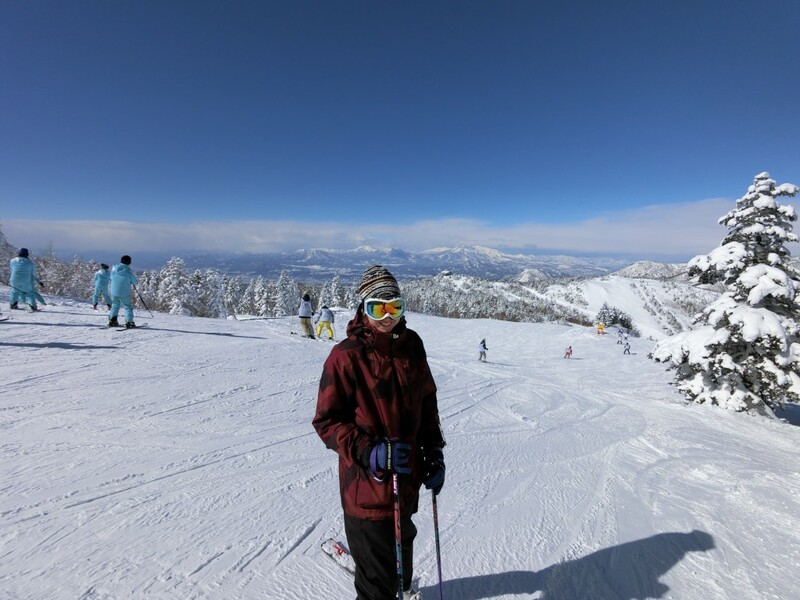 Terakoya Ski Area is situated in the highest zone (2043 meters) of Shiga Kogen Central Area – deep within the ski area and mountains – and is known for its high quality and reliable powder snow. 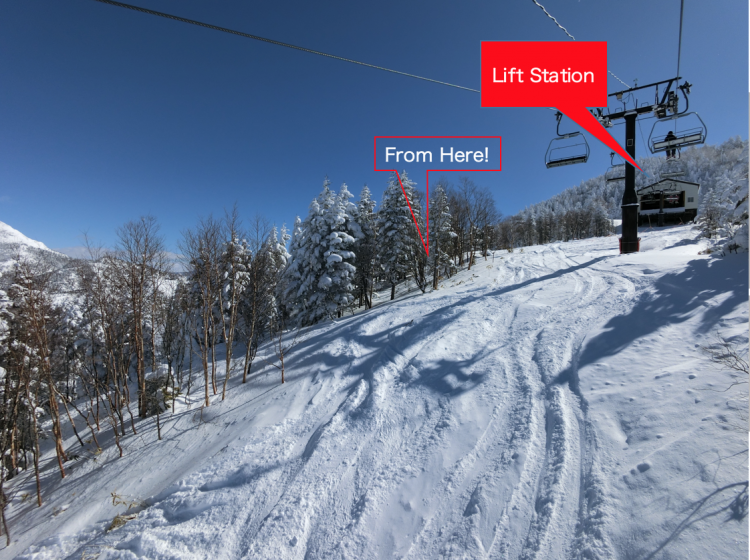 The ski area is serviced by just one ski lift and composed of three intermediate (red) courses. What makes the area special (and favored by locals) is the spectacular view from the top, amazing powder quality, and the fun tree runs that you will never get bored of repeating! How to enter the course: take the highest chair lift all the way to the top of Terakoya Ski Area. As you come off the lift, turn to your left. The tree course branches off from there, to the right of the groomed course (when you are facing back down the mountain). You can go into the forested area from the very top (see the picture below). The course runs all the way back down to the lift station – roughly 600 meters long. Short but lots of fun! 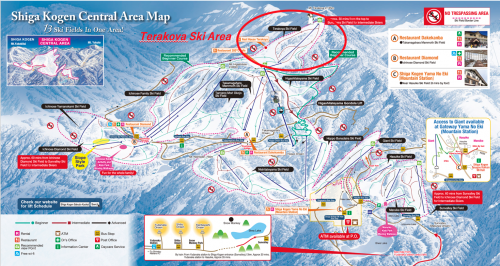 Terakoya Ski Area is connected from the top of Ichinose Family Area or the Gondola Station of Mt. Higashidate. The ski list usually operates until 16:00 (however it is somewhat prone to strong winds and can close earlier). We highly recommend that you take yourself to Terakoya and enjoy the best that Shiga Kogen has to offer! It’s a real locals’ favorite and one we are happy to introduce to the world! Looking for more course information of Shiga Kogen? Find them from our destination page.